Barria pitched 5.1 shutout innings against the Tigers on Wednesday, striking out 5 and walking 1. He has been solid for the Angels this season posting a 3.59 ERA and allowing more than 3 ER's in just 3 of his 17 starts. On the other hand, he has only completed 6 innings in 4 of those 17 starts and his xFIP is a less impressive 4.76. He has a mediocre 6.57 K/9 for the season and it's been trending in the wrong direction recently as he has just 18 K's in 32 IP (5.06 K/9) since the beginning of July. His relatively high FB% (around 40%) has also made him susceptible to the home run. I wouldn't expect anything better than average from him going forward. 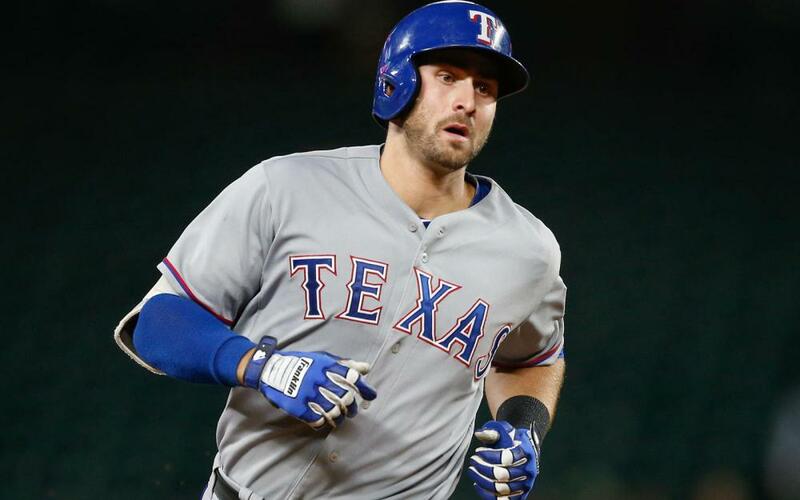 Gallo smashed two homeruns and drove in 4 against the Wednesday and now has 9 HR's and 20 RBI in 16 games since the all-star break. He's even hitting a respectable .279 during that stretch! The last part is not going to stick but these types of hot streaks are the reason why Gallo is worth owning even though he can be frustrating at times. Since the start of the 2017 season, Gallo ranks 5th in all of baseball in HR's and 4th in ISO. Grichuk hit his 15th HR of the season against the Red Sox on Wednesday and has been a steady contributor in the Blue Jays lineup for over two months now. After going 7-66 (.106) in April and then heading to the DL with a knee injury, Grichuk has seemed like a different player since returning at the beginning of June, hitting .274 and slugging .542 with 13 HR's in 57 games over that stretch. Perhaps most importantly, Grichuk has cut his K% to a respectable 20.5% during that time, no small achievement for a guy who has hovered around 30% throughout his career. If this improved contact rate does stick long-term, he has the chance to be a much more consistent and well-rounded player. In case you missed the memo, Felix Hernandez is not good anymore. After allowing 7 ER's in 2 of his last 3 starts, his ERA has climbed to 5.73, 2nd worst among all qualified MLB pitchers. His K% has now plummeted to a career low 17.9% and his SwStr% is similarly a career worst 8.4%. Hernandez has been even more terrible since the start of July, posting an 8.37 ERA and a 14:10 K:BB in 23.2 IP across 5 starts. He doesn't belong in any fantasy rotation, and an argument can be made that he doesn't belong in the Mariners rotation either. Sano hit a game-tying HR in the 9th inning against the Indians on Wednesday, his first HR since the end of May. Sano returned from his exile in the minor leagues a couple of weeks ago, but so far there hasn't been much improvement; in 11 games since his return, he has struck out 38.1% of the time and hit just the 1 HR. He continues to hit the ball hard so one would expect the power numbers to improve, but as long as he keeps striking out at this ridiculous rate, he remains a risky fantasy play.